"The first thing to start learning from Africa is really to familiarize yourself with it"
In this interview, the author of "Futures of Technology in Africa", Jasper Grosskurth, speaks about how Europe can learn from Africa and how Africa can learn from itself. Jasper Grosskurth, Managing Director at Research Solutions Africa and author of "Futures of Technology in Africa"
AidReversed: Jasper Grosskurth, in your book "Futures of Technology in Africa" you addressed the question of how the developed world could learn from Africa in terms of technology and beyond. What made you ask this question? Jasper Grosskurth: The core of the project which led to the book was how technology would evolve over the next two decades in Africa. I focused on ICT, energy, infrastructure and agriculture. Most of the technologies I found were global technologies that are also applied in Africa with small local twitches. 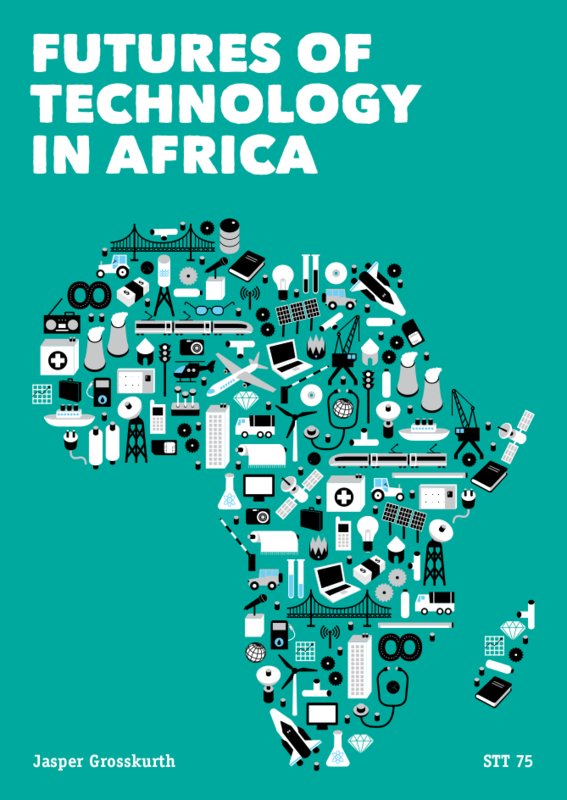 So the chapter on learning from Africa is really just the undercurrent of this mega-trend of technology entering Africa, which is a really fast trend. I was wondering if there is a counter-trend and what that counter-trend reflects. It is just to balance out. I used to be a foresight expert, so I am an expert in looking 20, 30, 50 years ahead. One of the lessons I learned in that discipline is that every main current always has an undercurrent. When the mainstream is moving into one direction, there is always this small undercurrent that is moving into the other direction. And you always have to be very alert to it, because it might become the major current in the future. AidReversed: During your extensive and numerous visits in Africa, did you come across any examples of how the developed world can or could learn from Africa? Jasper Grosskurth: Disappointingly few. I literally asked this question hundreds of people. But the answers were very limited and in the core of technology I didn't find any examples were the follow-up research would stand up. In terms of ICT, I think the prepaid phone card could be listed as an African invention. Mobile money transfer systems are definitely a Kenyan innovation or at least the market wide application is a Kenyan innovation, but it has not traveled very far yet. Worldwide, half of the money which is sent from phone to phone is sent on Kenya's M-Pesa system. All the other systems in the world combined that send money from mobile to mobile, can't provide as much money as M-Pesa does in Kenya. So it has not traveled elsewhere yet. 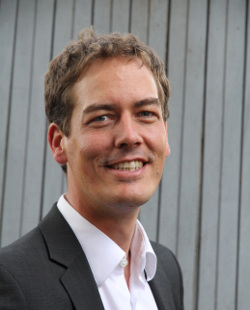 "In group decision mediation there are some people who are inspired by structures they found in different African cultures"
"Futures of Technology in Africa" authored by Jasper Grosskurth is available online. I encountered of course, a few people who postulated more cultural learning. In group decision mediation there are some people who are inspired by structures they found in different African cultures. Additionally, there are some minor examples of more tinkering than innovation, in many cases. I found a water filter that was developed for an African context and then applied elsewhere. There is a TED talk of a person whose research is on fence construction in Burkina Faso. There, you have a very intricate trade-off between the strength and the costs of the fence. This is balanced by the length of the different wheats that are being used. It turns out that the cultures have a very detailed knowledge of mathematics and must have had that knowledge way before similar concepts were developed in Europe - but now even that is global technology. It is very difficult to find a tangible example. AidReversed: In your book you say that Africa is surprisingly resistant against the financial crisis. Do you think we should “africanize” the European economic system to make it more resistant against the crisis? Jasper Grosskurth: I wonder how far this is possible. And that resistance has a downside as well. Most economic decisions in a context of high uncertainty, which most African countries are, are taken with a strong component of risk aversion. People in Africa will try to avoid any risk, and especially this means you try to take as few loans as possible. The debt cycle is murderous in most countries where good borrowers have interest rates of 20 – 25%, in Kenya for example. If you are less reliable, then interest rates can quickly shoot up to 30-40%. So once you are in a debt cycle, it is very difficult to get out of it. Because the financial crisis was largely debt related, it meant that fewer people in Africa did have debts which could affect them. That was the resistance against the crisis. But that debt is also a major drive of economic growth. So if you are an entrepreneur, you have to take debts to build up your company, you have to take a risk and you have to take a long term risk to build up a company. In order to create the employment, that you would like to create in many African countries, you have to get a more risk accepting or risk managing culture, in which debt is becoming much more common. They have been resistant to the financial crisis, but I am not sure how much we can learn from this. "One thing we can learn, I think, is on an individual level, managing your own expectations and managing your own expenditures"
One thing we can learn, I think, is on an individual level, managing your own expectations and managing your own expenditures. People are able to manage and to feed a full household and to send the children to school on a few dollars a day. This is an achievement which deserves to be looked at. There is one book that I liked, that is called “Portfolios of the poor”, which is not specific for Africa, but it includes African examples, where the authors followed the financial decisions of households in developing countries for one or two years on a weekly basis. They found an extremely detailed and clever way of managing money. They have different places, where they can put their money: They can either give it to a trusted friend to safeguard it for them, they can invest it into small saving schemes, they can bring it to a bank, in Kenya they can send it to a savings account on their mobile phone. There are many intricate decisions and the throughput of money and the money management turn out to be very complex and very clever. On the low income end, there is some learning on how to manage assets. It is not a revolutionary invention, but it is something which is inspiring. AidReversed: You have given many examples and ideas. What do you suggest, which framework conditions are necessary that Europe can learn from this? Is Europe even open enough for these ideas? Jasper Grosskurth: I don't think we Europeans are open enough. One of my main missions at this point is to change the stereotypical image of Africa. You come across two stereotypes: One is the tourism-stereotype of Savannas, with Maasai and Zulu in their colourful dresses, with lions and tigers. Then, there is the poverty and conflict stereotype. It is very difficult for people to understand how much Africa has changed over the past ten or twenty years. We Europeans recognize very slowly that Africa is one of the fastest growing continents. If you take out India and China, then south-east Asia is growing a lot slower than Africa is. For the period 2000 to 2010, six out of the ten fastest growing economies were African and the projection for the next decade is that it will be seven out of ten. There is a tremendous revolution going on in terms of how business operates, in terms of how society is organized and we still focus on conflict. We notice for example the elections in Zimbabwe, which many will still remember. We don't notice that there are ten countries around Zimbabwe that in the past few years had a peaceful and democratic transition of government. So we focus on the negatives and we miss a lot of the opportunities. The first thing to start learning from Africa is really to familiarize yourself with it and to overcome these stereotypes. This is a very slow process. I have lived here now for two years and worked on and with Africa for six years and the stereotypes are only very slowly deteriorating. Even I catch myself that when I am in the Sahara on the top of a Mosque I think „Oh, yes, Africa!“ Somehow when I am in Lomé in Togo and when I am in Nairobi, it feels much less African – even though these places are the drivers of the change. So we have this very much engrained idea of what Africa is like. Familiarization includes going to Africa. Not on safaris. That will just reconfirm your stereotypes because they reinforce neo-colonial fantasies. But meet people of your own kind. Meet the university graduates, meet the doctors, meet the engineers, meet who ever you are. Meet your counterpart rather than just the hotel staff or your driver. There is too few people doing that. There is too much attraction and also too much aesthetic attraction. The rest of Africa is too beautiful to notice this kind of stuff. "Africa now is really just a short flight, a mouse-click or a phone call away and we are making too little of this opportunity"
One thing I see is that this stereotype is slowly changing but not improving. For example now a lot of stories are coming up about the mobile phone in Africa which has really changed a lot. But the pictures on these articles almost always show a Maasai, a Dogon or a Zulu in their colourful dresses with a mobile phone in the Savanna, rather than a business man in the city. Africa now is really just a short flight, a mouse-click or a phone call away and we are making too little of this opportunity. AidReversed: Do you think learning from Africa means exploiting Africa or can Africa also benefit from exporting knowledge? Jasper Grosskurth: I think learning from each other you always benefit. The funny thing is that when we say Africa is learning from Europe, it very quickly has neo-colonial connotations. When we turn it the other way round and say Europe is learning from Africa, then that is exploitation. You can't have it both ways. Whether learning equals exploitation depends on the type of learning and the ownership of learning, but generally learning from each other is a positive thing. I definitely believe that there is a value, but there is a difference between learning from each other and marketing knowledge. The question is, can Africa profit from it, can it profit economically, profit very tangibly in terms of exporting knowledge? Yes, but at the moment there is very little marketable knowledge and there are very few people with an education level that will allow the production of marketable knowledge. There are too few networks that give them access to networks that already market knowledge. If you want to start up a consultancy as a local university graduate, you need to show your track record ten times better than a university graduate in Europe would. You don't have so many peers, who would be able to do this, so people would put you to the test much more. The framework for knowledge marketing world wide is one that runs through patents and that runs through consultancies and that hasn't quite integrated Africa yet. However, you find implicit knowledge in the medical sector. There are lots of playgrounds for pharmaceutical and for agricultural research. I think that knowledge that is still engrained in the natural environment and in the biodiversity, is definitely underused. Using that has a great potential to more benefit local players. "One thing that is taking place at the moment is the boomerang effect where Africa is learning from itself"
Additionally, there is the non-marketable knowledge: For example, learning the awareness of what an extended family means. For myself it is a tremendous enrichment to experience this. How to organize things in a society differently, in a society that is not quite dominated by a neo-liberal or at least consumer-society driven context. One thing that is taking place at the moment is the boomerang effect where Africa is learning from itself, which is the returning diaspora. Many Nigerians, Kenyans, Somalis and other African nationals have gone abroad for many years and many of them are returning now. They are returning with changed values and with changed expectations. They are bringing tremendous change to the countries where they come from. You see this very strongly in Nigeria with a fascinating start-up and entrepreneurship culture. You see this in Somalia, which is now changing very quickly. We can even see it here in Nairobi: During the worst times in Somalia, Nairobi used to be the hub where all the Sumalis would invest their money. Now, Nairobi feels that they are pulling out their money and are bringing it back to Mogadishu to invest it there. So there is a very strong flow of information where people had education, often in the West, they have often worked in the West and they are coming back. That is a learning process that I think will have tremendous impacts. We Europeans will have to look at whether they have any part in that. We don't see that development in Europe yet. I think we are bypassing another global opportunity of learning. AidReversed: Jasper Grosskurth, thank you very much for the enriching interview!